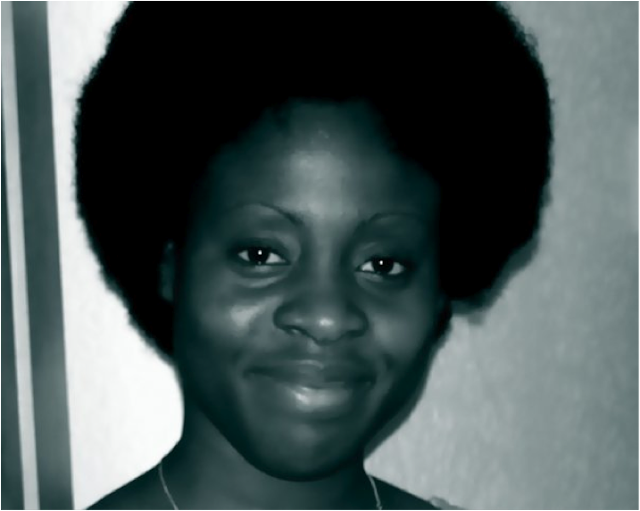 Natural Hair in Nigeria...Meet Toyin! Hellooooooo all! Where is this year going? It's actually scary. It's been ages since we've had a Nigerian natural featured on the blog...or anything at all, to be honest... despite the fact that we've been sent in so many entries just waiting to be posted. Definitely time to rectify the situation! And who better to get the ball rolling again than my dear friend Toyin, the "Corporate Bohemian", originally from Ikorodu, who counts Lauryn Hill and a pre-chop India Arie amongst her hair idols. At the time I started my locs I was in the final year of my Ph.D. No one cared about the state of my hair because no one saw me. 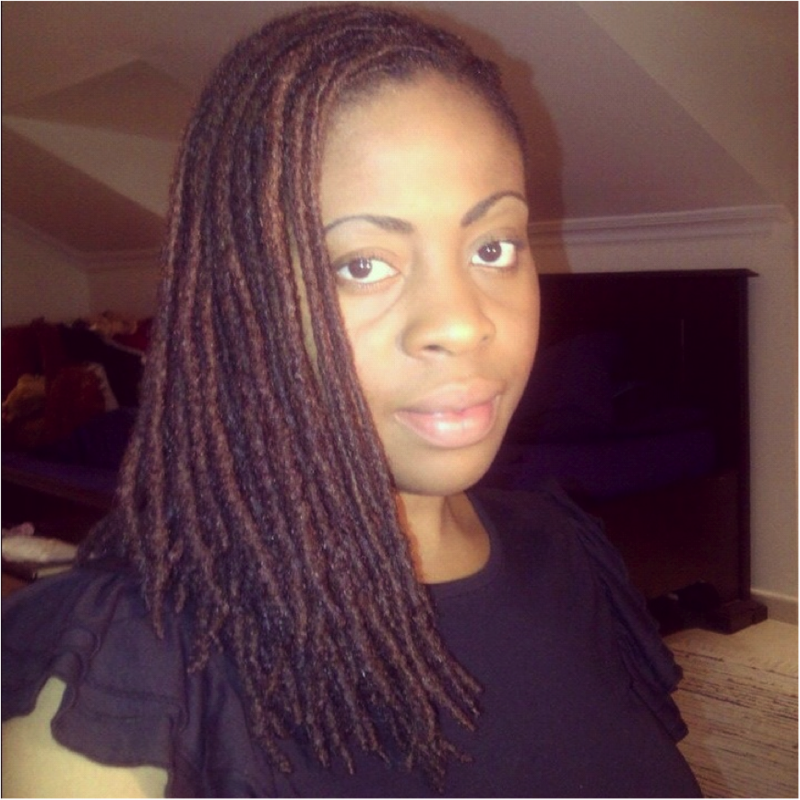 This was advantageous because even the best-kept locs at the starter stage can look a little unkempt, and frankly I looked like a boy! 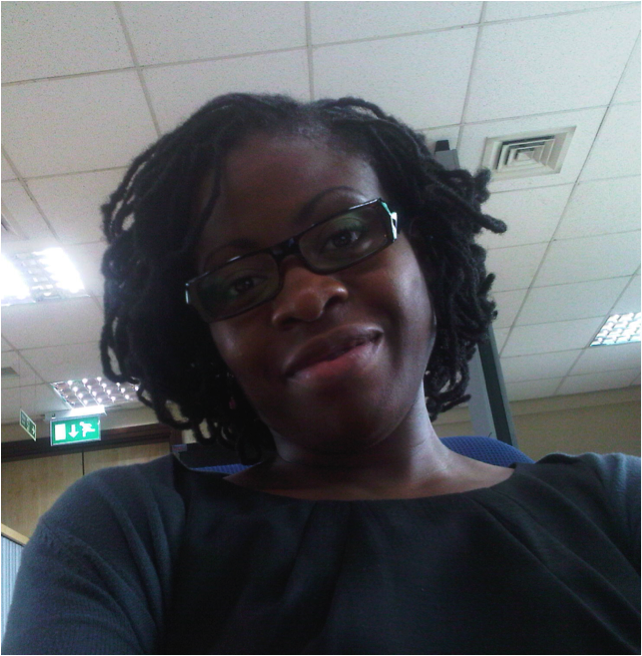 My corporate career started in Nigeria, so by the time I joined the rat race my locs were fairly mature. My first Job was at a well-known Investment Bank in Nigeria. My hair wasn’t long enough to put into a bun, so I would have my locs curled and styled to take to work. At the time I never really thought about what impact my locs would have on people’s impression on me. The reality of the situation is this – Employers that are too focused on what your hair is as opposed to what value you bring with regards to your skills are short sighted. As an employee your responsibility to ensure that you are tidy and presentable to clients at all time, regardless if you have a weave, relaxed, braided, natural or loc’d hair. On being natural in Nigeria? My initial experience in Nigeria was not a happy one. When I would come home on Christmas vacations, I could never find a hairdresser that would not try to convince me to relax my hair! 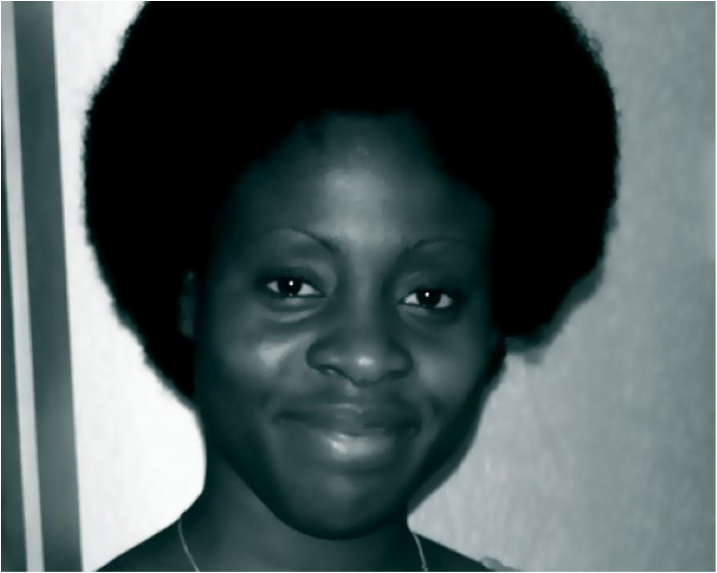 They mistreated my hair and couldn’t understand why an African woman would have natural hair for non-religious reasons!!! My vacation experiences contributed towards the transition from Afro to Locs. I knew I wouldn’t be happy with how I would maintain my hair in Nigeria, so I decided to loc before I moved permanently back home. In a lot of ways maintaining locs is easier than maintaining an Afro. 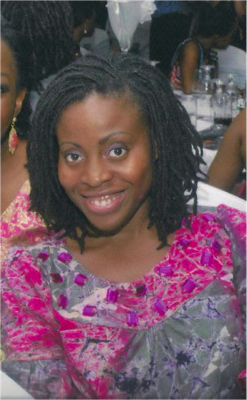 Having locs in Nigeria has also been an interesting experience. 1. Is that all your hair? 2. Really is that all your hair? I thought it was braids!! 3. How long have you had your hair like this? 4. Really? And you haven’t changed your hair since? 5. What happens when you want to do another style? Do you have to cut it off? Above are the typical questions women ask me on a day-to-day basis. I’ve even had a woman pull on my hair because she wasn’t convinced I was telling the truth. Maintenance has always been an issue for me. I am lazy when it comes to my hair, so I’m always on the lookout for stylists that can help me maintain my hair. Finding stylists in Nigeria has always been an issue. Once a month I wash, deep condition and re-loc the base of my locs. To loc I use a Shea butter and coconut oil mix. I then will sit under a hair dryer to dry my roots and let the rest of my hair air dry. This helps retain the moisture within the hair, which helps my hair feel soft. I would not recommend using bees wax because bees wax is heavy and tends to fix lint into the hair giving it a permanent grey look. Locking Gel is also a massive no-no. Locking gel tend to dry out your hair making it brittle and hard. 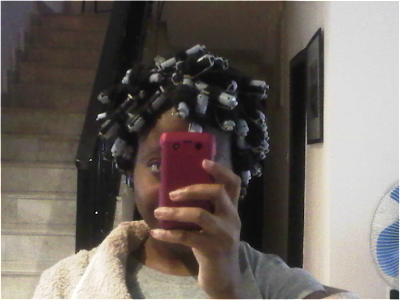 In-between hair appointments I maintain my hair with Shea butter whips, almond oil and tea-tree sprays for my scalp. The key is always to ‘listen’ to your hair. Shea butter tends to be heavy so if I do use it I use it sparingly to avoid build up. 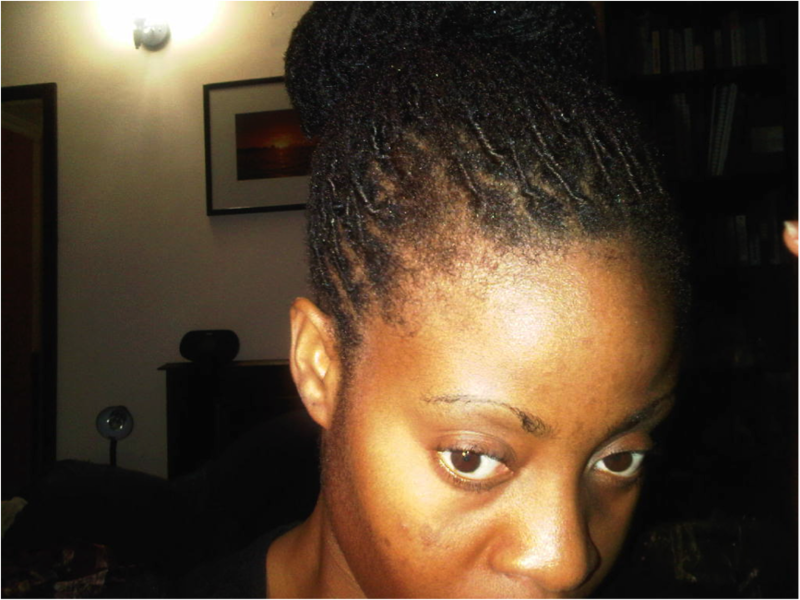 I stay way from petroleum-based products because they build up residue in the hair and can be difficult to get out. On occasion I do like to dye my hair. I use semi-permanent dyes and I tend to leave those treatments far and few between because they can dry out your hair. Since doing this interview, Toyin has started her own blog. Check it out.